Does the bottling or distillation year matter for Scotch or other whiskies? Not really and definitely not in the same way as it does for wine. When it comes to wine, the year to year seasonal variability in the grape crop can have a big impact on the final product. Different wine producing regions experience different weather, from year to year, so sometimes you get more rain, sometimes you get colder or warmer temperatures, and that all impacts how the grapes grow. Just check out this list of Bordeaux vintages, going back to 1959, and how the different each year can be. Bordeaux is any wine produced in the Bordeaux region of France, though nearly 90% of it is red wine. 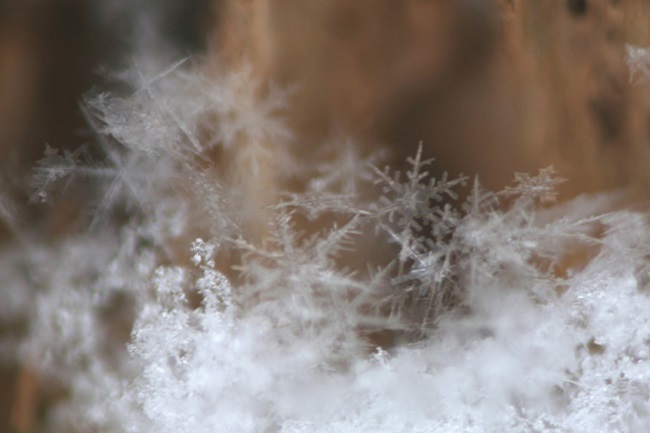 With wine, it is intuitive that the weather plays a huge role in how good the grapes are. The grapes are mashed and fermented. The end product can be immediately bottled or aged in barrels for a few years and then bottled. Generally speaking, from grape to your mouth, it’s usually only a couple years at the most. With scotch and barley, I’d argue that year to year crop yields doesn’t matter. .. the malting process. Malting involves tricks the grains into germinating through a water soak, then halted by drying with hot air. This process helps convert the grain’s starches into sugars, which are fermented. In grapes, the sugars come from the growing process; in barley, it’s created during the malting process. Whisky is distilled, so now we’re talking ABVs in the low 60%s (usually 62.5%) before aging for many years (3+). Lastly, unless it’s single barrel, they will blend different barrels to achieve the characteristics they want. So… the distillation date and the bottling date are fun to know, but they really have little impact on the end product. If the characteristics of the distillery have changed, the bottling year will give you an idea of what they were going for in that time period. Tastes change, production techniques change, so there value in knowing the date if it’s many years in the past. But it’s not for the same reasons as wine. Single barrels and batches can vary from one another in a single year. It won’t be a huge difference (I’d argue you couldn’t tell if you had them independently on different days), but there are subtle differences if you try them side by side. Do you think bottling or distillation year matters? Why does Jack Daniel’s call itself “sour mash” whiskey? 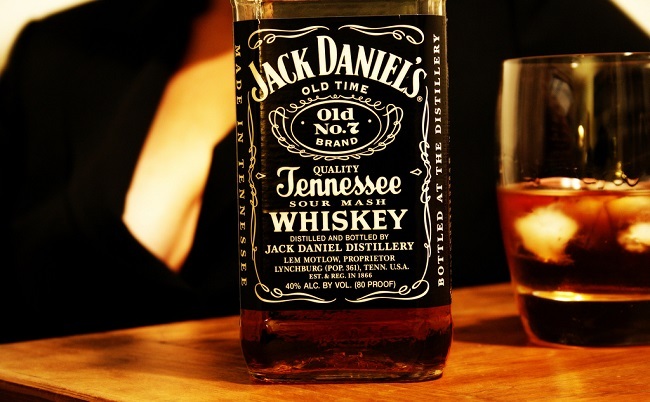 Ever wonder why Jack Daniel’s calls itself “sour mash” whiskey? Ever since doing shot after shot after shot of Jack in college, I’ve always wondered what “sour mash” meant. It sure didn’t taste sour. Now that it’s been years and I’ve become more invested in the process of drinking, rather than the result, I wanted to know. The part that matters when you talk about “sour mash” is the mashing process. It’s when the grounded down malt is added to warm water to pull out the sugars from the malt – that mixture is called mash. That sugar will be fermented by yeast to product alcohol. Sour mash just means that the mash from a previous batch, which still has live yeast, is added to the current one to start the fermentation process. Using the sour mash from a previous batch helps with consistency, maintains an ideal PH, and a bunch of other good stuff. Why is it called sour mash? It’s called “sour” because it’s just like how sourdough bread is made. It borrows the name from using a sourdough starter. As it happens with a lot of marketing, sour mash is not unique to Jack Daniel’s. Nearly all bourbon is produced this way. What is a Mystery Malt? Many years ago, I was in a Costco in Delaware when I discovered that Kirkland had a branded bottle of single malt from Macallan. Back then, I knew far less about scotch compared to today. 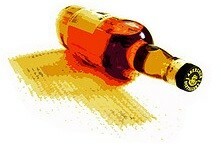 I knew the name – The Macallan – but I knew little else. The price was right, I bought a bottle… and quickly polished it off (cursing myself for not buying more!). It was good. For the longest time, I thought that was a mystery malt. 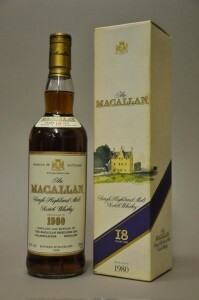 The mystery wasn’t in the distiller (duh, Macallan) but in what was inside, since there was no age statement. I would later learn that it’s not technically a mystery malt, it was simply Costco/Kirkland bottling The Macallan. You can see all sorts of bottlers do this nowadays and more of the bottles in stores. The label will be standardized for the bottler and then you’ll see a distillery name underneath (usually with the year it was bottled and sometimes an age statement). A mystery malt is something completely different and the inspiration of this post came from our Facebook group where reader David found a mystery malt at his local Trader Joe’s – Lismore. Lismore is a mystery malt. A mystery malt is a blend of a variety of whisky where none of the names are (usually) listed publicly. 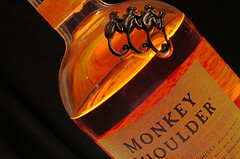 A fan favorite of Scotch Addict readers, Monkey Shoulder, is also a mystery malt. It’s one of the few that lists the malts included, in this case Kininvie, Balvenie, and Glenfiddich. Those more experienced with Monkey Shoulder will know that you can buy Balvenie and Glenfiddich in almost any store, finding Kininvie is nearly impossible because it’s not sold (more info on Kininvie distillery here on Master of Malt) publicly (yet). I’m skeptical of mystery malts and would caution you to do more research about it before buying one. Many of them lure you in with a cheap price (Shieldaig Speyside 18yo is tempting at $40) but you have to recognize you get what you pay for. There’s a reason a good 18 yo single malt starts at $80, don’t expect to get the same when you pay $40. What is a Replica Scotch? A replica Scotch is one that was created to recreate the experience of a famous bottle. Do you remember a few years back when they discovered three crates of Scotch whisky underneath the Ernest Shackleton hut in Antactica? Ernest Shackleton was a famous explorer in the late 19th century, early 20th century and often made these epic polar expeditions. Beneath one of the huts from a 1909 expedition were three crates of whisky and two crates of brandy, perfectly preserved. 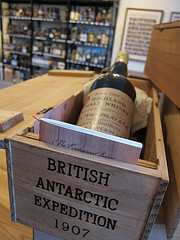 Now back in 1909, Whyte & Mackay had supplied the expedition with 25 crates of Mackinlay’s “Rare and Old” whisky. W&M would now take this rare and wonderful opportunity to recreate the whisky that was inside. Why do they make replica Scotches? Because it’s fun. There’s no denying that it would be fun to drink a whisky once enjoyed by one of the most intrepid polar explorers, right? Even if you don’t like exploring, there’s a bit of magic and nostalgia wrapped around drinking a whisky from another era. If you’re interested, the replica of the Shackleton whisky is called “Mackinlay’s Shackleton Rare Old Highland Malt – The Discovery” and goes for about $170 per 750ml. here’s more on the Shackleton expedition, the whiky, and the replica. There aren’t a lot of replica whiskies out there outside of these rare situations, but The Macallan loves to make various replicas from the 19th century too.